Ace Integrated Solutions is a leading Recruitment & Examination Services Management Company. The company offers a range of services namely, On-Line & off line Application Form designing, Barcoding, Collection, Data Capturing & Processing, Designing Printing and Dispatch of Admit Cards, Arrangement of test venues, Designing & printing of OMR answer sheets with security features, Setting, Designing and printing of question booklet as per the required Difficulty Levels and Topics (Technical & Non-Technical), consultancy, Facility Management, Data Base Management Services etc. Over the years, it has successfully implemented large turnkey assignments for various PSUs/State/Central Customers. 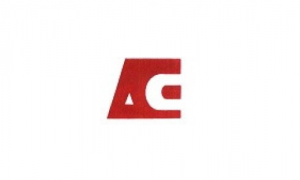 Ace Integrated Solutions IPO allotment status is now available on Bigshare Services' website. Click on this link to get allotment status. This ipo should be avoided as very expensive and almost all reviews are against this ipo..
Major player in this field. Expecting heavy gain on list like D-Mart. Having presence in all major cities. India being the largest employment generator in the world, company like ACE is having huge potential to become multibagger….